The CompTIA Security+ certification is a vendor-neutral, internationally recognized credential used by organizations and security professionals around the globe to validate foundationlevel security skills and knowledge. Candidates are encouraged to use this document to help prepare for CompTIA Security+ SY0-401, which measures necessary skills for IT security professionals. These content examples are meant to clarify the test objectives and should not be construed as a comprehensive listing of all content in this examination. CompTIA Security+ is accredited by ANSI to show compliance with the ISO 17024 Standard and, as such, the exam objectives undergo regular reviews and updates. CompTIA exams result from subject matter expert workshops and industry-wide survey results regarding the skills and knowledge required of an IT professional. CompTIA Certifications, LLC is not affiliated with and does not authorize, endorse or condone utilizing any content provided by unauthorized third-party training sites (aka “brain dumps”). Individuals who utilize such materials in preparation for any CompTIA examination will have their certifications revoked and be suspended from future testing in accordance with the CompTIA Candidate Agreement. In an effort to more clearly communicate CompTIA’s exam policies on use of unauthorized study materials, CompTIA directs all certification candidates to the CompTIA Certification Exam Policies. 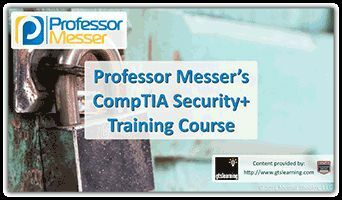 Please review all CompTIA policies before beginning the study process for any CompTIA exam. Candidates will be required to abide by the CompTIA Candidate Agreement. If a candidate has a question as to whether study materials are considered unauthorized (aka “brain dumps”), he/she should contact CompTIA at examsecurity@comptia.org to confirm. The lists of examples provided in bulleted format are not exhaustive lists. Other examples of technologies, processes or tasks pertaining to each objective may also be included on the exam although not listed or covered in this objectives document. CompTIA is constantly reviewing the content of our exams and updating test questions to be sure our exams are current and the security of the questions is protected. When necessary, we will publish updated exams based on existing exam objectives. Please know that all related exam preparation materials will still be valid.